The Back of the Manly Ferry will be a place to be in Sydney this week, as Sydney Harbour hosts the International Fleet Review. 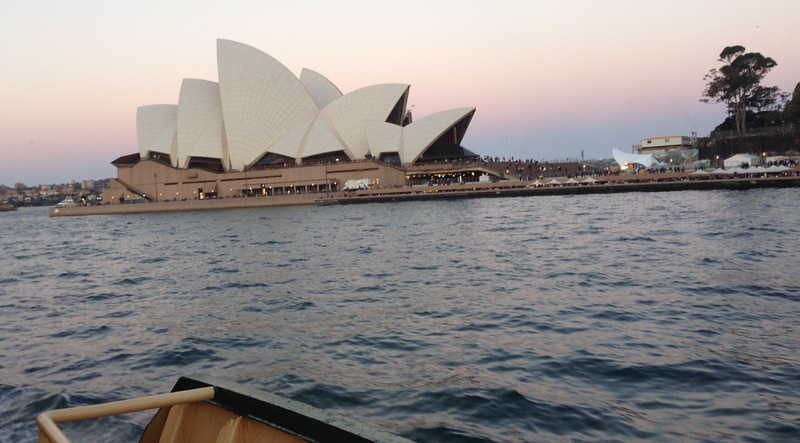 In 1913, the Royal Australian Navy sailed into Sydney for the first time. There were 7 boats in that fleet. To celebrate the centenary of that event, 40 warships and many tall ships have arrived in Sydney and the Harbour is a very special place to be. Saturday night will be nuts as a fireworks extravaganza even bigger than the New Years Eve will dominate the Harbour. For the next week, the journey home will have the extra interest of having a gander at warships from places as diverse as Indonesia, Japan, Brunei, France and the good ole US of A. Our new brew for the evening came from the Australian Wine Centre and is brewed by Birranova. 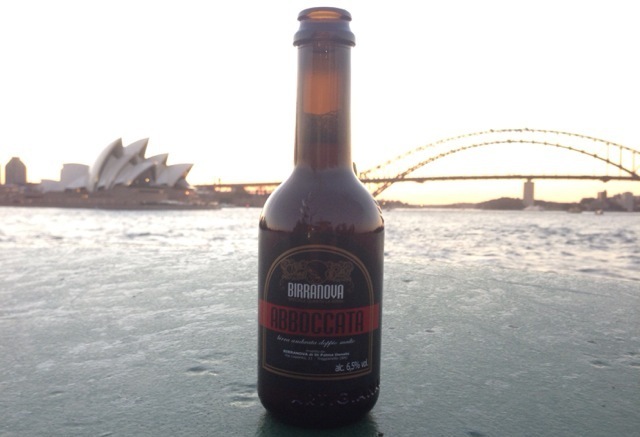 Abboccata is stylishly bottled doppelbock. Now the last time we tried a beer from Birranova – it wasn’t a great experience, and there was some twitter interchange between ourselves and the brewer. Well, I’m delighted to say that there are absolutely no problems with this offering. This is as smooth as the opening to Lady Love by Lou Rawls. There’s a combination of caramel and coffee in the malt backbone. The 6.5% alcohol doesn’t come through the taste at all – and all in all it is a deeply satisfying drink. Definitely one for sipping around a fire. Will be back for more. With so many boats in the Harbour, it isn’t hard for the Ferry to get up close and personal with a couple of warships. We sailed particularly close to the KRI Sultan Iskandar Muda, which is a sleek 91m Corvette. According to the IFR2013 app, there’s a few missiles and torpedoes aboard and there’s 81 crew. The ship is named after the 12th Sultan of Aceh – Iskandar Muda. He was quite the bellicose sailor himself and kicked the tripe out of the Portuguese once or twice. He’s still fondly remembered by the people of Aceh and has plenty of things named after him, including this boat and the Aceh airport.